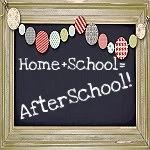 Welcome back to a summer edition of After School Link Up. Learning never stops, and more relaxed schedule leaves kids with more time to tinker, experiment, and try things out. In this post I am sharing six fun STEM activities - tinkering projects for kids submitted by After School Link Up participants in June. KC Edventures features a tutorial for a simple water rocket powered by a water hose – an excellent way to get wet this summer. We have never built with PVC pipes yet, but I think this Where Is My Water? PVC project from Rubberboots and Elf Shoes looks like a lot of fun! Designing a boat that can float and hold a Playmobil person was our project from last fall, but I want to do it again this summer allowing more time for testing different ideas. I wanted to build a robot ever since we came back from The Maker’s Faire, but so far we haven’t had time. I am sure my daughter will have a lot of fun with it. I’ve seen several basic mini robot tutorials, but I love that Red Ted Art made hers “pretty” and inspired an older neighbor to make his own too! Another project that involves a battery. I heard about conductive play dough, but it never occurred to me that we can make our own conductive and insulator play dough. I read a post from stlMotherhood, and now squishy circuits is on my to-do list. Buggy and Buddy put together a great round up of DIY marble runs and mazes. Each of them would make a great tinkering project, especially a reconfigurable maze like the one made out of Lego. They all look like fun summer projects. Love these suggestions. Will have to pin for next time we're "bored". I love all these ideas! So glad I discovered this for my little engineer. Thanks for sharing these great ideas for little ones that like to tinker! Wow, Natalie... such clever ideas to keep kids creating and learning! I'm so impressed! Thanks so much for sharing on Makeovers & Motherhood's Welcome Party Wednesday Link-Up! Featuring this week & pinned!